CCR is cooperating with other international groups in Rome on "A Pop Up Holiday Cocktail & Toast to LoveItaly!" Become Part of Ancient History – Enlighten Future Generations. 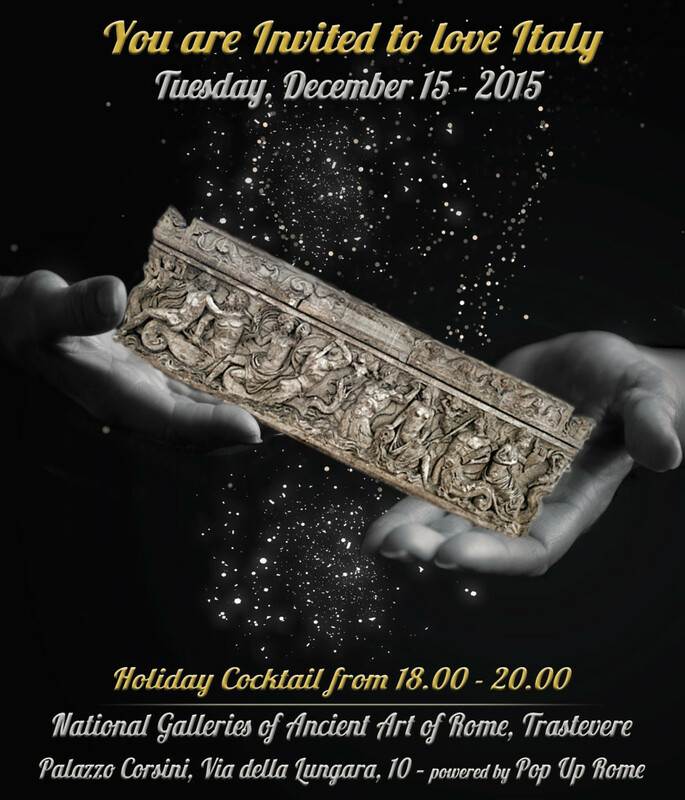 Come to an exclusive evening set among world masterpieces within the prestigious Palazzo Corsini’s magnificent National Galleries of Ancient Art of Rome, once home to the Queen of Sweden, which promises to uplift you with Holiday spirit and offer the possibility of a privileged private gallery tour including the MATTIA PRETI exhibit (Caravaggio’s successor). 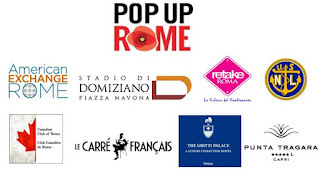 The event will spotlight LoveItaly!…a visionary, nonprofit crowdfunding platform helping spontaneous groups of people from all countries reach out and touch the future of a specific piece of Italy’s cultural heritage, funding and following its transformation back to splendor while trendsetting by example to encourage our world’s youth. The evening is an opportunity to get personally involved in LoveItaly’s Rome restoration project, an outstanding Imperial Age sarcophagus in critical need of repair, housed inside the Corsini Palace and on display for the cocktail. The beneficiary of the evening’s proceeds is the prestigious Istituto Superiore per la Conservazione ed il Restauro (Italy’s top stop for restoration), whose students will be responsible for carrying out the work. By attending the Holiday Cocktail, you will be directly contributing to this effort through your prepaid ticket purchase. Get your family, colleagues, friends, and neighbors to come and be part of it, or come alone and meet new friends. Join the CROWD for the FUNding of it! Labels: benefit event, Charity, cocktail reception, LoveItaly!